Abu Dhabi offers something for everyone. Combining history with modernity, this Arabian Gulf city offers many fun activities. Whether you’re sunbathing on beautiful white sand beaches, shopping at luxurious centers, haggling at the many markets, taking a stroll along the harbor, seeing incredible architecture and museums, or riding fast rollercoasters, Abu Dhabi will give you a memorable trip. 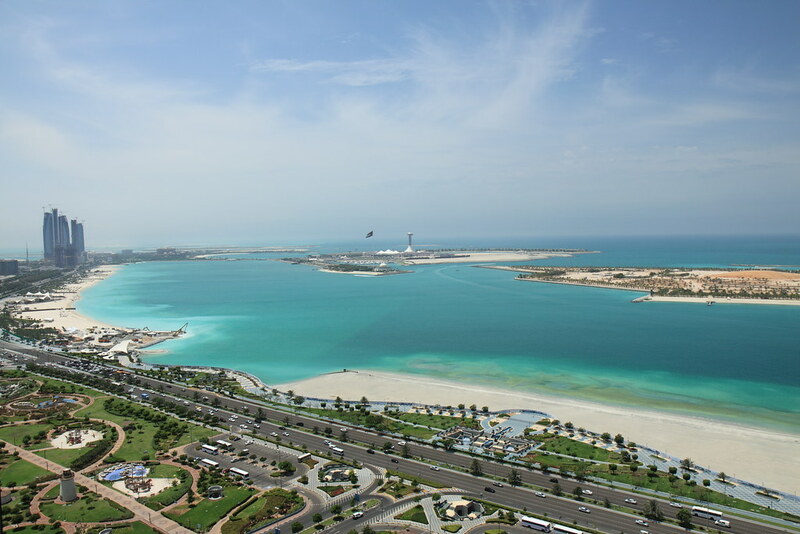 Below are a few tips to make your Abu Dhabi vacation go smoothly. Accommodation is often one of the first things we think about when planning a trip. A perfect option would be to book the beachfront Abu Dhabi InterContinental luxury hotel, which is set high on a hill with stunning views of the skyline and the gulf. No matter if we spend all day out exploring or enjoying the hotel’s amenities, it’s always nice to return to a nice room and recharge for a new day of exploring. There are many great things to do in Abu Dhabi, such as visiting breathtaking sites like the Sheikh Zayed Grand Mosque, The Emirates Palace, and the Qasr al-Hosn palace fort. If you’re an adrenaline junkie, you may want to check out the world’s fastest rollercoaster at Ferrari World. If you’re into more laid-back exploring, take a leisurely stroll along Corniche Road, a neighborhood along the waterfront that’s filled with parks, cafés, and restaurants. If you’re heading to the UAE for your honeymoon or for any other reason, you should know that this city experiences hot temperatures year round. The best time to avoid excessive heat is between November and February. Keep in mind that it can get cool in the evening, so pack a sweater or a light jacket. If you want to hit the beach, consider a visit in October, March, or April, when it’s hot but not unbearable. No matter when you go, you’ll find plenty of indoor activities with comfortable air conditioning. If you are a GCC citizen, you can get a free visa upon arrival to the UAE. Otherwise, you will need to apply for a Tourist, Transit or Visit Visa before your trip. Travel agencies and hotels can help you with the process. Note that smoking is banned in public areas, but many places have smoking rooms. When it comes to a dress code, Abu Dhabi is more relaxed compared to other Arab cities. You should still avoid improper dress in public areas, though. Swimsuits and shorts are allowed on beaches. While tipping isn’t expected in Arab countries, leave a little extra if you receive exceptionally good service. Leave 10 to 15 percent as a general rule. At the airport, luggage porters usually expect a tip depending on the amount of bags you have. Ready for Abu Dhabi? Start planning the best trip to this action-packed city. Abu Dhabi has been on my bucket list for so long! Everything just looks so beautiful.